While I am in the muck and mire of AIChE, I reached out to a few people to fill in for me until Thursday. 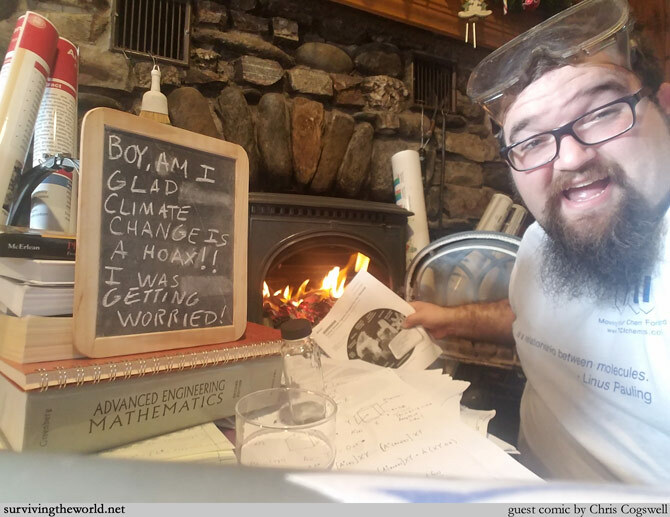 Today's comic comes from Chris Cogswell - who co-wrote and appeared in the science comic about assumptions - and he's an engineer with work in green energy and other climate change related areas who is not feeling too great about the future right now. But if you're looking for someone, you should totally hire him. He's got a tremendous future, pending, mind you, that we all have one. Thanks, Chris!